Top 15 Energy Efficient Homes and Costs - Illustrated! Top 15 Energy Efficient Homes and Costs – Illustrated! 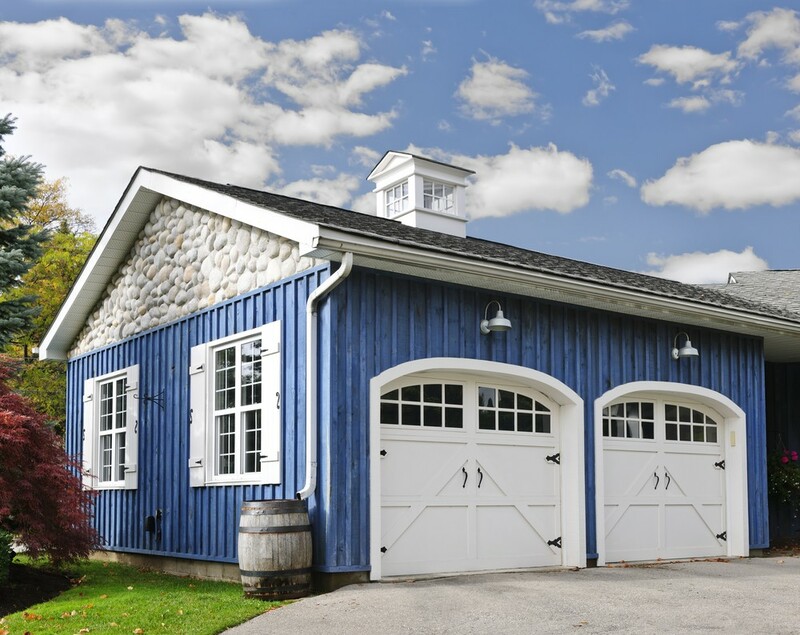 Most people don’t think about energy efficiency, Eco-friendliness, or environmental considerations when buying or designing and building the house of their dreams. 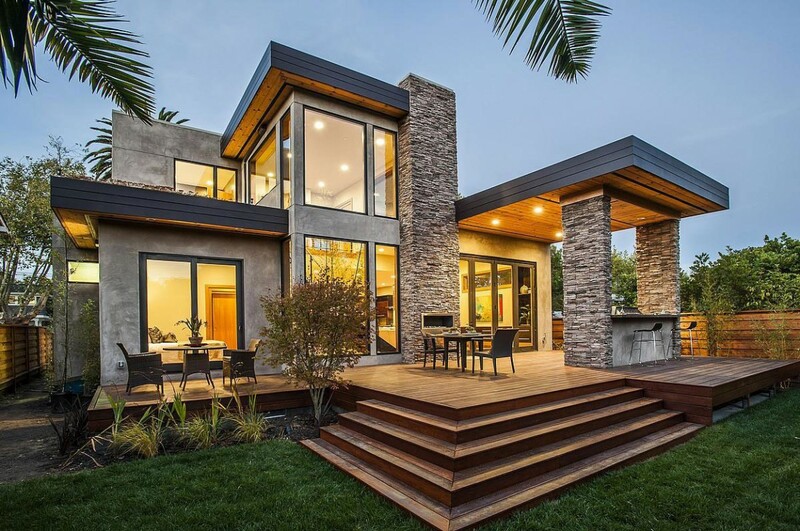 Perhaps this happens due to a general lack of knowledge and understanding of the many great benefits of green home design, budget worries, or other factors. Going green comes with a price, though. Energy efficiency upgrades are not cheap, but you will recover your money in the long-term considering you will no longer be paying electricity bills. 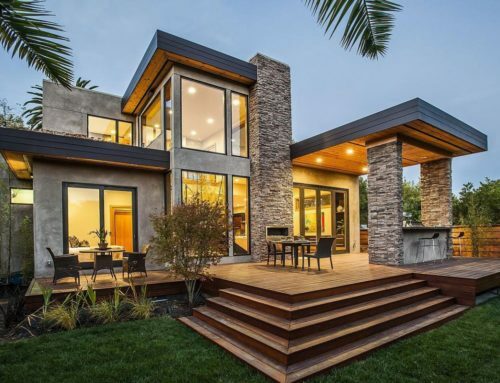 If you are planning to design and build your very own Green-inspired, Eco-friendly home, then it’s important to note that in many cases it may be necessary to provide a site plan to obtain various home building permits from your city hall or township. You can turn to 24h Plans to get a custom site plan drawing prepared for your dream home in less than 24 hours by our team of experienced architects and drafters. Use our promotion code: 24hplans-20off to get a 20% discount off any package. — Please note this is a limited time offer, exclusive to the readers of our blog. This offer is not being advertised anywhere else. 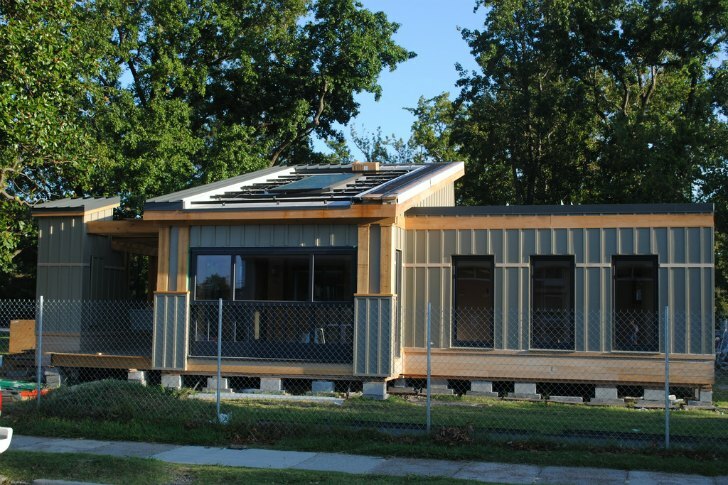 The purpose of the University of Maryland was to design a house that does not depend on fossil fuels like the majority of houses in the US do. Waste water from the washing machine, dishwasher and shower is recycled and filtered. Moreover, rain water is not wasted because there is a special harvesting system that collects and filters it. There is a liquid desiccant waterfall that not only looks great, but also ensures the right humidity control. PV solar panels provide more electricity than needed, so the excess energy is stored for later use. The house has a high-end system that monitors and controls several parameters to ensure a high level of comfort: temperature, lighting, and humidity level. The University of Nevada Las Vegas built an ultra-efficient house that uses solar energy (there’s plenty of that, obviously) and preserves water. It’s named DesertSol because it is designed to withstand desert weather. The 30 PV solar panels generate enough energy to ensure cooling, heating, LED lighting and the well functioning of the common appliances you find in a regular house. Rainwater and humidity is collected to be used for cooling and irrigation. The hydronic radiant floor heating system uses water for heat transfer because it is 20 times more efficient than air. The house was awarded the LEED Platinum certification for green building. 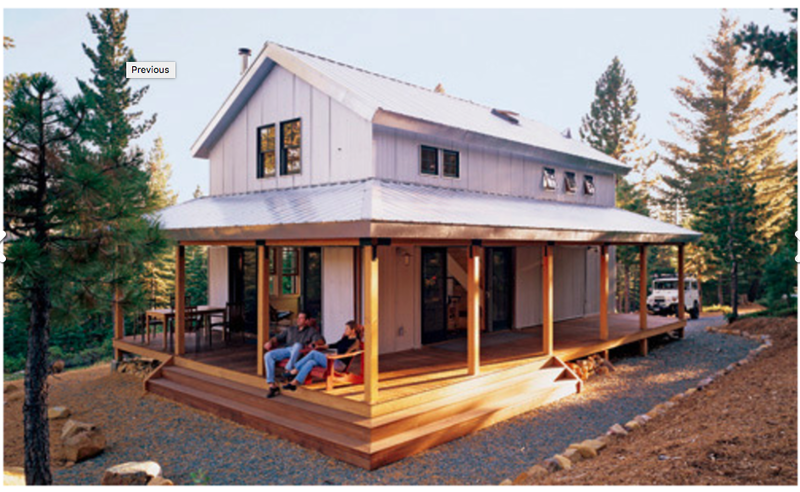 Located in the Sierra Nevada mountains, this house measures 1015 sq. ft. and has 2 bedrooms. One of the main things that makes it energy efficient is the fact that the walls are made of SIPs (structural insulated panels). The costs are about the same as building with wood, so there is no financial reason for not choosing SIPs. 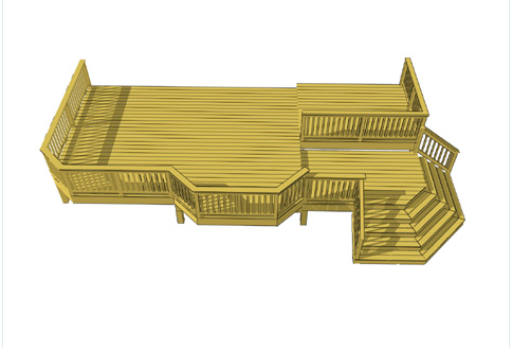 They are prefabricated and shipped to be assembled on site. SIPs are perfect for areas with heavy snowing and strong winds, insulating the interior tightly thus reducing heating costs. Besides, the house has clearstory windows and vent skylights to make the use of as much natural light as possible. Supposedly, there are also photovoltaic solar panels installed on the ribbed metal roof (not shown from the angle the picture is taken). 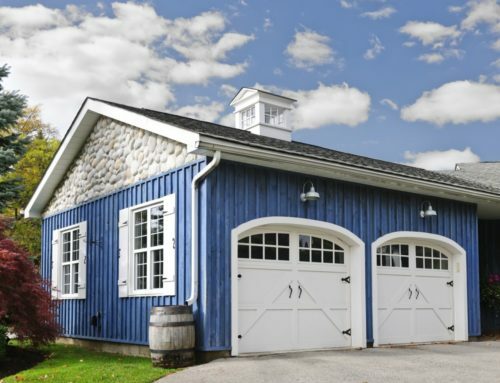 Notably though, according to metalroofing.systems, a standing seam metal roof would have been a better choice than a ribber system for the mounting of PV solar panels, given how easy it is to install a PV solar power system over standing seam panels when employing an S-5 bracketing system. — In addition to the panels, there is also a battery storage system (not shown in the picture) hooked to the PV solar power system to enable storage and use of any excess electricity, even during night-time. 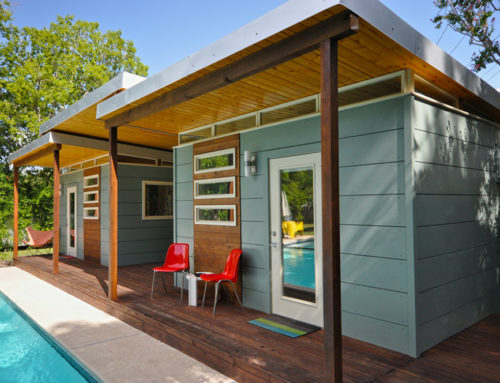 Here’s a smaller house of only 384 sq. ft. and 1 bedroom. The plan costs a bit over $1,200. Designed to resist in tropical climates with frequent rains and high levels of humidity, the exterior walls are made of studs with spray foam insulation while the roof has 6-inch thick rigid foam board insulation. The house has a rainwater harvesting system that allows you to use it on-site. 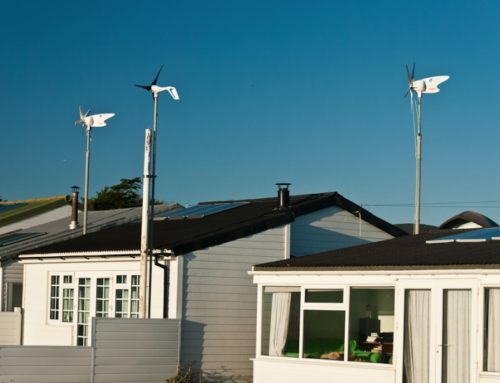 The roof is not suitable for photovoltaic panels, but you can install them on a separate pole. 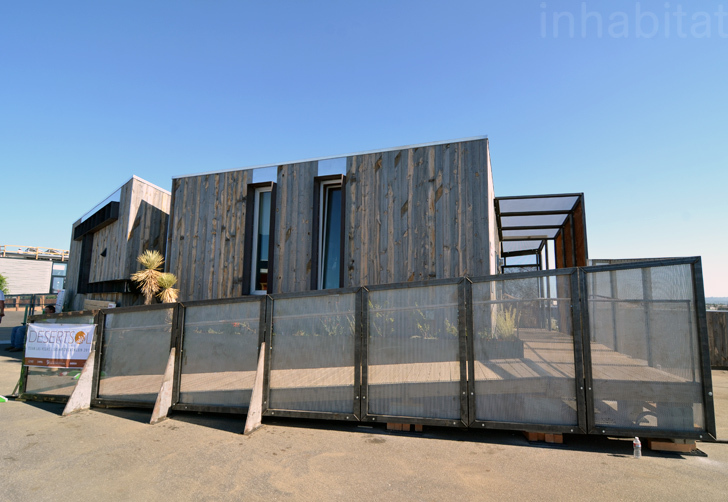 This is a Y-shaped solar house made of 6 shipping containers, hence its name: the Y container. 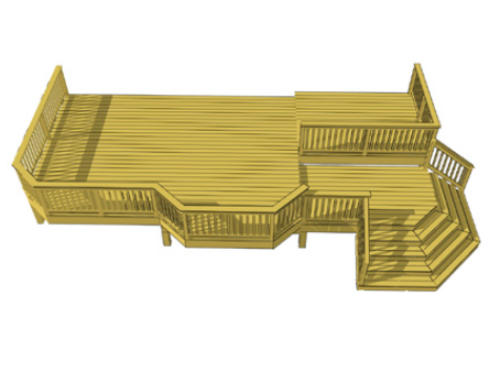 This shape allows residents to view the varying landscapes in different yard sections. The hot water and floor heating systems use the heat that comes from the solar thermal collector. Heat transfer is blocked through phase change and vacuum insulation materials. Fresh air supply is ensured without extra electricity consumption through a natural ventilation tunnel located in the center of the house. 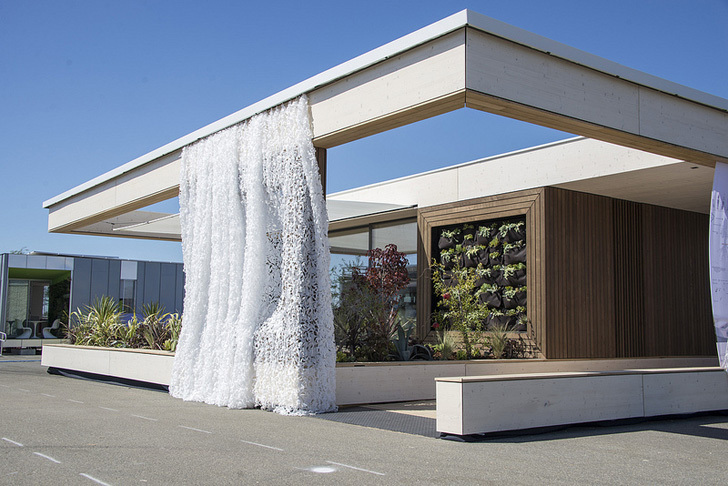 The design belongs to the Chinese at Tongji University who participated at the Solar Decathlon in 2011. Covering 688 sq. 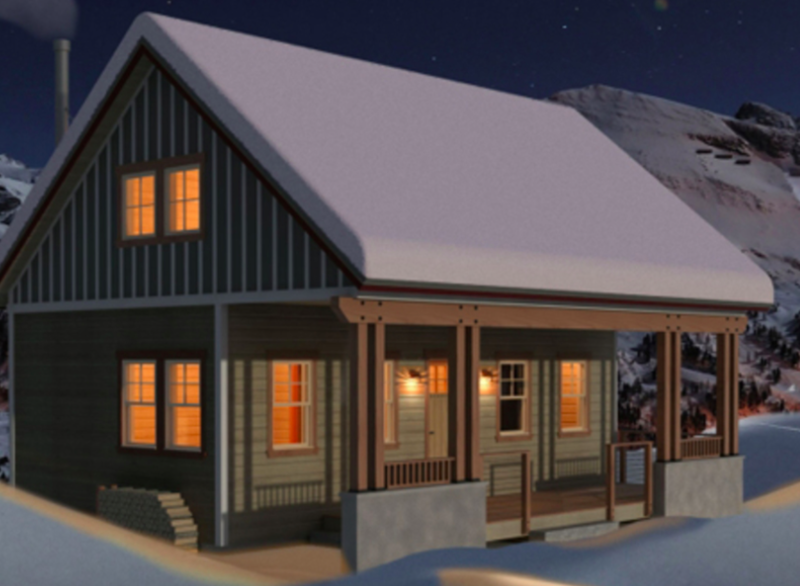 ft., this 1-bedroom house was designed to be in the heart of the mountain. It obviously has no garage and only 1 bathroom. PV panels can be mounted on the roof, but you have to clear the snow every day to allow the rays of the sun to get through. The main way this house is energy efficient is through its state of the art insulation. The roof is made of 2×10 rafters with a 9-inch thick layer of foam insulation. The space between the wall studs are also covered by highly efficient foam. 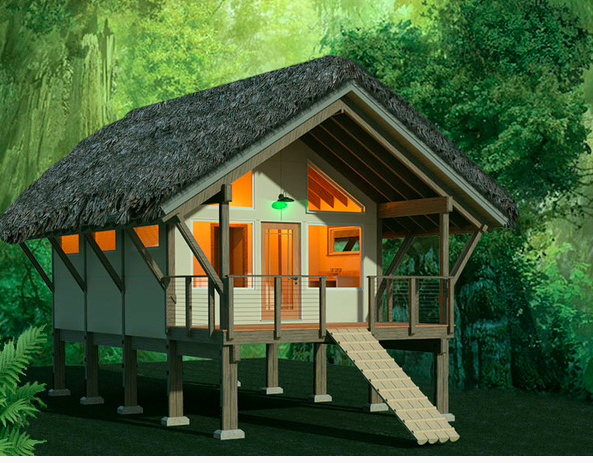 This design and the Jungle Shelter are mainly meant for people who can’t invest a fortune in making their houses energy efficient. 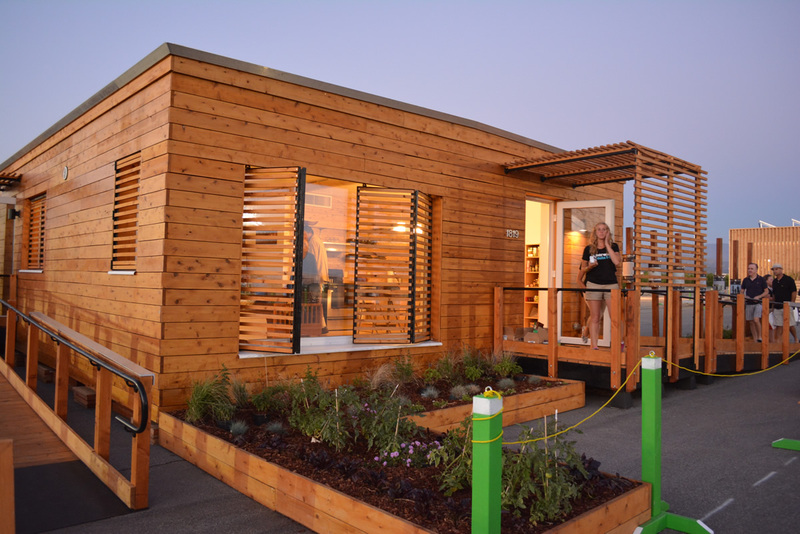 This is the IKAROS house built especial for the Solar Decathlon (a competition among countries and/or American states to build the most energy efficient house). It took more than $300,000 to build it but it has the potential to sell back renewable energy worth $5000 per year. This excess can be used to heat the house during cool months. This IKAROS house won the 2009 edition of the Solar Decathlon. Vacuum insulation panels provide tight insulation. The heat that exits the cooling system is used to make hot water. 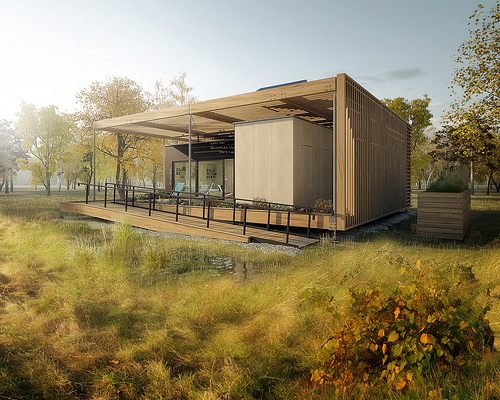 This design is the winner of the Solar Decathlon 2013 edition. Four PV modules are installed on top of the roof and they generate more energy than daily needs. An ERV unit and a heat and humidity exchanger control the temperature inside. Apart from this, the common living space is open at both ends ensuring proper ventilation and use of natural light. The vertical gardens allow you to grow your own vegetables and fruits. The exterior movable curtains maintain cool temperatures inside the construction. 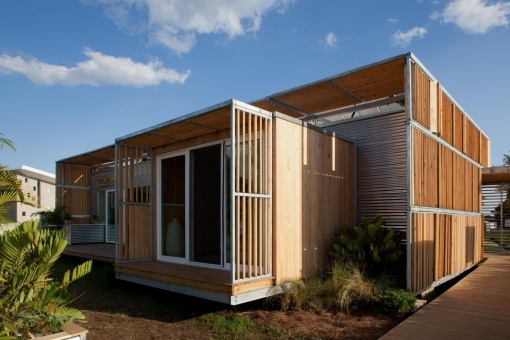 Known as the FLeX house, this design belongs to several universities in Florida. They adapted it to the lifestyle particular to this region that faces months of extreme heat. According to the architects, a family of three with moderate incomes can live in such a house. Note the cypress louvers installed on the roof and walls that shade the structure from the bright sun. Moreover, the entire north wall opens up to passively cool the interior. The house has solar thermal panels, a heat pump and a zoned mini-split system to ensure the proper house heating and cooling. 22 PV panels of 5 kW each are installed together with 11 micro-inverters. Anyone who works with such systems will appreciate the amazing software that monitors and diagnoses any malfunctions that appear along the way. Apart from being energy efficient, the FLeX uses several space-conserving strategies to create an affordable yet comfortable living space for its residents. This design combines a small living area with a big outside area allowing for free movement of fresh air in and out of the house. This feature is anticipated by the name of house: AIR house. The acronym stands for affordable, innovative and recyclable. 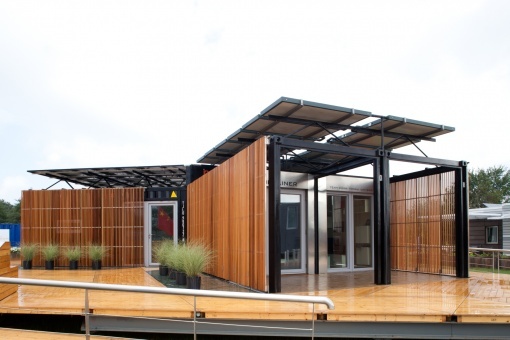 It was designed by the Czech Technical University to participate at the Solar Decathlon, 2013 edition. The exterior is almost entirely made of wood, including the thermal insulation and load bearing structure. A high end artificial lighting system was installed and programmed to adjust the lights according to people’s circadian rhythms. It actually tries to mimic natural lighting conditions as closely as possible. There is a solar wooden canopy that provides electricity but also protection from sun rays and wind. If you want to stay green all the way, you have an electric bicycle powered by a charging station. 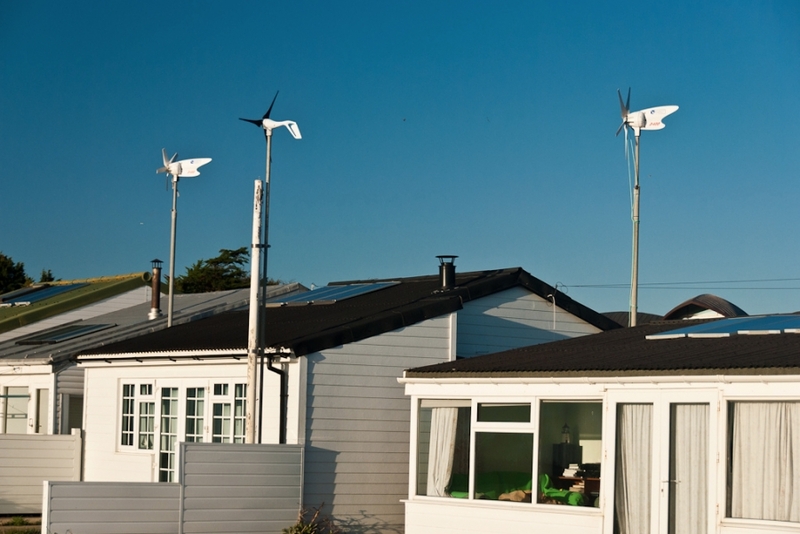 The entire house is operated with the electricity produced by PV panels. Hot water is obtained through a solar water heating system as well. There is also a grey-water system and an air conditioning unit programmed to maintain a comfortable level of humidity and fresh air. 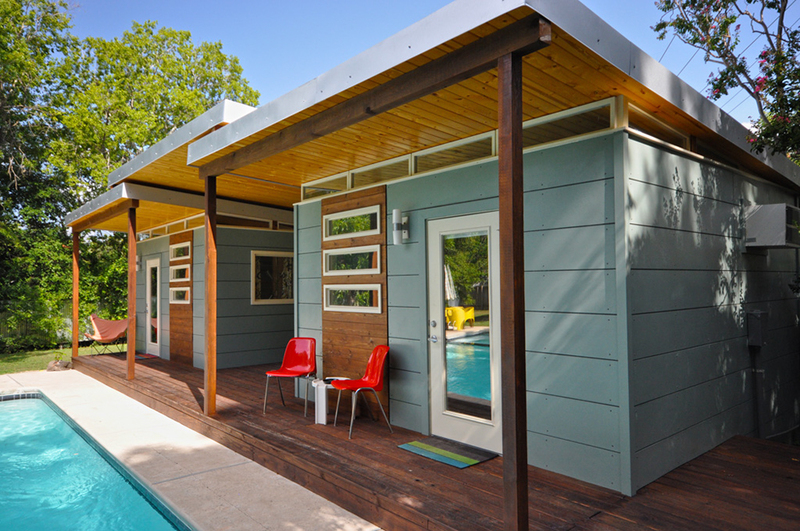 If you are looking for an independent lifestyle, this design grants the gift of self-sufficiency to its residents. Known as the Canopy house, this construction was designed by the Hampton University and Old Dominion University. Disabled persons will have an easier life on this property, because its layout and architecture accommodates people in wheelchairs. The indoor and the outdoor spaces are connected through a folding glass door system. The radiant floor is heated with the excess electricity stored by the solar thermal system. Water is heated the same way maintaining a proper temperature in the tank for longer periods of time. Air quality and thermal comfort are ensured with the help of an HVAC system that uses an affordable and energy efficient mini-split system. As for insulation, it’s important to mention that the walls are made of composite structural panels that impede heat transfer. In spite of being lightweight, the panels can bear the weight load of the construction. People control the energy management system through a tablet. The application is interactive and teaches you how to make decisions about the way electricity is being used in your household. 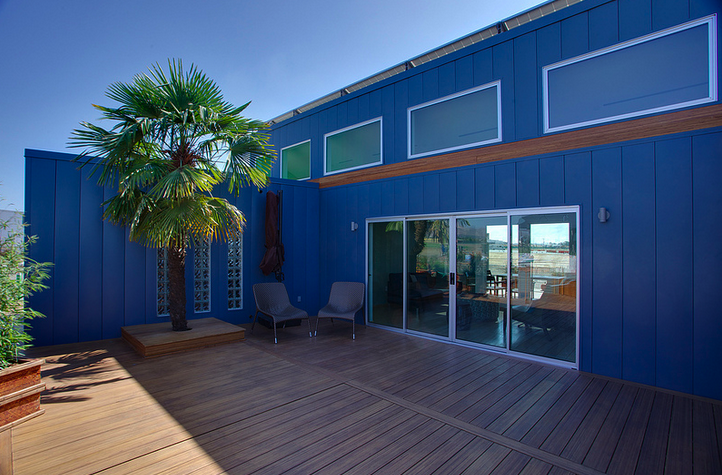 Designed by the Southern California Institute of Architecture and by the California Institute of Technology (CalTech), this house is named DALE, as in Dynamic Augmented Living Environment. 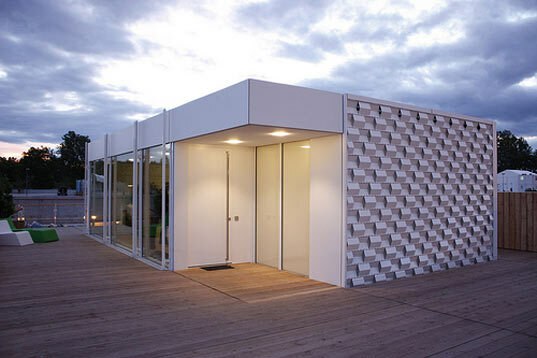 As you see, it’s made of 2 prefabricated modules that open to let fresh air in. They move along a rail system to create the outdoor space you see in the image. The system is made of a steel structure attached to a couple of motorized bridge crane end trucks. Traditional sheathing is replaced by a waterproof vinyl exterior layer. All the electricity needs of the house are covered by 28 photovoltaic panels. High end solar water heating technology brings hot water to the house. All the parameters are monitored and controlled through performant software that collects information about solar energy production, consumption and indoor temperatures. This house is meant for a couple who enjoy outdoor activities and care about the environment to the extent that they are willing to invest a lot of money into making their house energy efficient and eco friendly. 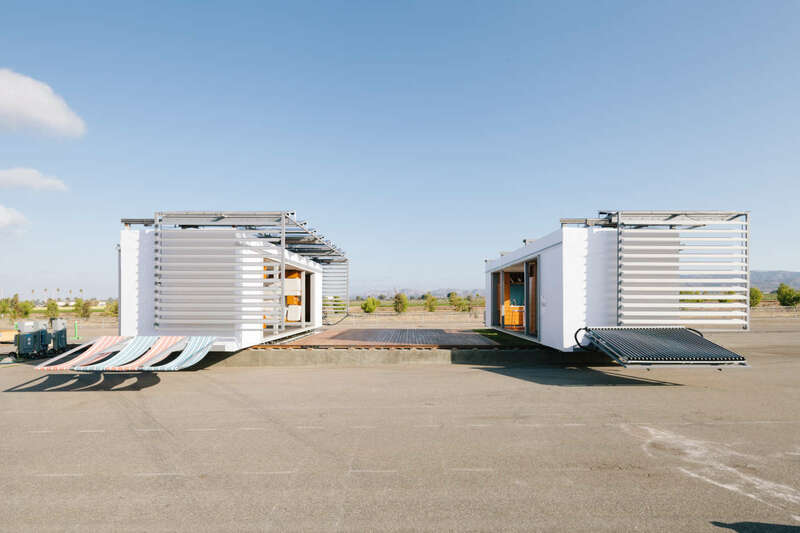 Built on a 3×3 modular grid, this house was designed by Stanford University and it’s made of a core module, public and private modules. A mechanical system named CORE unites the modules into what you see in the picture above. The prefabricated core shelters the kitchen, bathroom, laundry room and the CORE mechanical system, each with the afferent electrical and plumbing systems. SIPs were used for the construction of the walls in order to make sure that heat transfer is kept to a minimum. The costs were reduced by using salvaged wood from old houses for the exterior redwood siding and the interior hardwood floors. Laundry water is filtered and re-used for irrigation. Natural ventilation and thermal comfort is achieved through a heat-recovery ventilator. 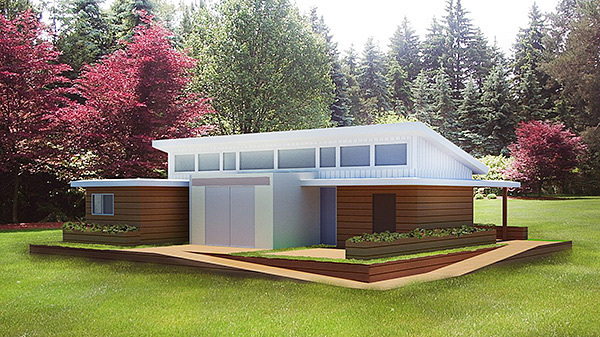 Norwich University wanted to create a house that is both energy efficient and affordable. The Delta T-90 proved that it’s possible to use the words high-performance and moderate prices in the same sentence. They claim that people who earn 20% less than the Vermont median income can afford this house. The main priority was to insulate the house and to get as much natural light as possible by choosing ample daylighting and high ceilings. The walls are 16-inches thick to minimize heat loss. Photovoltaic panels are installed on the roof to capture light even in poor solar conditions. When it comes to heating and cooling, the house has no ducts or overt mechanical elements because it has a mini-split heat pump HVAC system. The house is pretty spacious considering that the simplified mechanical system leaves the entire floor usable for residents. 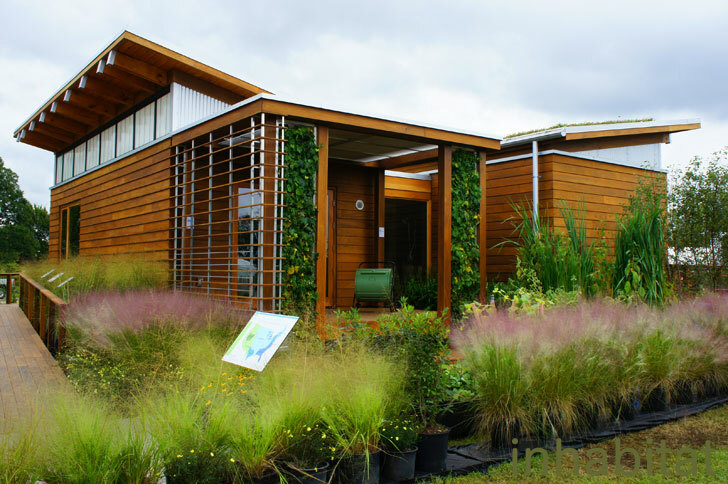 This is another green home design that proves energy efficiency doesn’t have to be very expensive. We have to thank the Santa Clara University for designing the Radiant House you see in the image above. A rail system integrates PV panels into the roof structure. Below the panels, there is a passive cooling system that improves their efficiency. The interior is spacious and bright because of the big windows. A tank with organic phase-chance materials receives the heat from a solar thermal panel, thus obtaining free hot water for the dwelling occupants.